Yesterday, three directors over at the Federal Trade Commission penned an article in support of Tesla's direct sales model. We've reproduced the article in its entirety below. A fundamental principle of competition is that consumers – not regulation – should determine what they buy and how they buy it. Consumers may benefit from the ability to buy cars directly from manufacturers – whether they are shopping for luxury cars or economy vehicles. The same competition principles should apply in either case. For several years now, there have been reports of the challenges faced by Tesla Motors in selling its luxury electric cars directly to consumers. In state after state, the company has faced legislative and litigation resistance to its business plan to sell its products without using a network of third-party dealers like other auto manufacturers. Over the past year, FTC staff have urged in a blog post and comment letters to legislators that state prohibitions against direct consumer auto sales by manufacturers should be eased. Our point: States should allow consumers to choose not only the cars they buy, but also how they buy them. Some states that closed the door to direct manufacturer sales, like New Jersey, have recently opened the door by a crack. 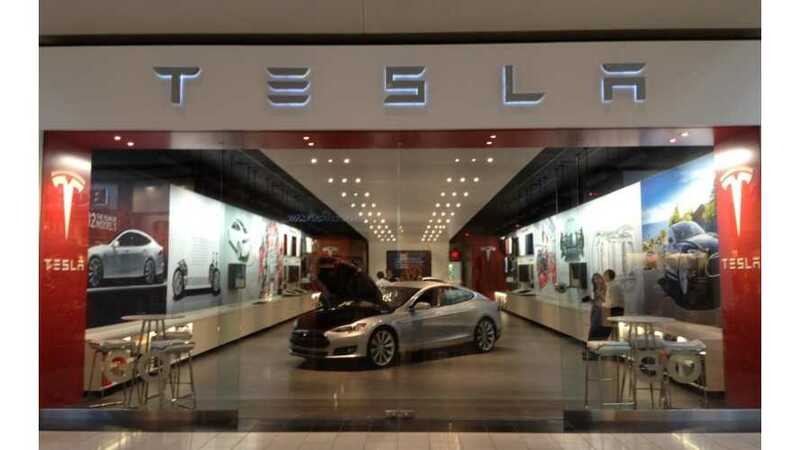 Legislative changes there (link is external) (and in several other states) now permit Tesla to operate a handful of direct sales outlets in the state. But the opening in the law (link is external) is a tiny one—only a few outlets, and only for Tesla Motors. Some other states, like Michigan, have gone the other way. In October 2014, the Michigan legislature passed and the governor signed legislation that made wording changes to strengthen the statutory prohibitions on manufacturer direct sales in that state. At that time, however, the governor said “ healthy, open discussion can and should be had over whether the current business model in Michigan should be changed” and encouraged the legislature to engage in such debate. A recently-introduced bill in the Michigan legislature, SB 268, provides the opportunity for this kind of debate. The bill would ease the prohibitions for a product category known as “autocycles,” and would open the door for direct consumer sales by another potential new entrant in auto manufacturing. Elio Motors (link is external) has announced plans to manufacture an innovative low-cost, high-mileage, enclosed three-wheeled vehicle. According to announcements by the company, it plans to offer its products for a base price of $6800—less than a tenth the price (link is external) of the cheapest Tesla Model S. The firm plans to manufacture the vehicles at a facility in Shreveport, Louisiana, beginning in 2016. As of March 29, 2015, it had accepted more than 41,000 reservations for the vehicles. Like Tesla, Elio Motors does not intend to establish an independent dealer network, but rather plans to pursue a direct customer sales plan (link is external) to keep down the price of its products. In a letter commenting on the Michigan proposal, FTC staff supports the movement to allow for direct sales to consumers—not only Tesla or Elio, but for any company that decides to use that business model to distribute its products. Blanket prohibitions on direct manufacturer sales to consumers are an anomaly within the larger economy. Most manufacturers and suppliers in other industries make decisions about how to design their distribution systems based on their own business considerations, responding to consumer demand. Many manufacturers choose some combination of direct sales and sales through independent retailers. Typically, no government intervention is needed to augment or alter these competitive dynamics—the market polices inefficient, unresponsive, or otherwise inadequate distribution practices on its own. If the government does intervene, it should adopt restrictions that are clearly linked to specific policy objectives that the legislature believes warrant deviation from the beneficial pressures of competition, and should be no broader than necessary to achieve those objectives. Opening the door by a crack is a step in the right direction, and we urge policymakers in Michigan to take this small step. But beyond company-specific fixes lies a much larger issue: who should decide how consumers shop for products they want to buy? Protecting dealers from abuses by manufacturers does not justify a blanket prohibition like that in the current Michigan law, which extends to all vehicle manufacturers, even those like Tesla and Elio who have no interest in entering into a franchise agreement with any dealer. Absent some legitimate public purpose, consumers would be better served if the choice of distribution method were left to motor vehicle manufacturers and the consumers to whom they sell their products. *Marina is the Director of the Office of Policy Planning, Debbie is the Director of the Bureau of Competition, and Francine is the Director of the Bureau of Economics. The views expressed are their own, and do not necessarily reflect the opinion of the Commission or of any individual Commissioner.